Erick Erickson rethinking his rush to judgement re: Snowden? UPDATE: I now realize that the piece referenced here wasn’t written by Erickson, but by front page contributor Streiff. However, my point remains — Erickson’s ability to categorically declare Snowden a traitor without a careful review of the facts that came out subsequent to his pronouncement leads me to question his judgement. Immediately jumping to a conclusion without benefit of the facts, apparently to get out ahead of the crowd assures me that, God forbid I was being charged with a crime, I wouldn’t want him serving on a jury of my peers. Would you? I don’t agree with Erick Erickson’s (of Red State) view of Edward Snowden. Erickson was one of the first — if not THE first — who tweeted to his followers that if they thought Snowden was a patriot, to UNFOLLOW Erickson. NOW. A shoot-from-the-hip reaction that showed a snap to judgement, in my view. However, having said that, Erickson’s piece today is worth a read and leads me to wonder why if, following Erickson’s own logic, he still refuses to take a closer look at what Snowden’s done and perhaps step back a bit from his rush to judgement. The more we learn about the antics of our national intelligence apparatus the more we are left with the image of a bunch of smart guys operating with no sense of boundaries or propriety. Rather than being servants to and guardians of the the people they have striven to become our masters. 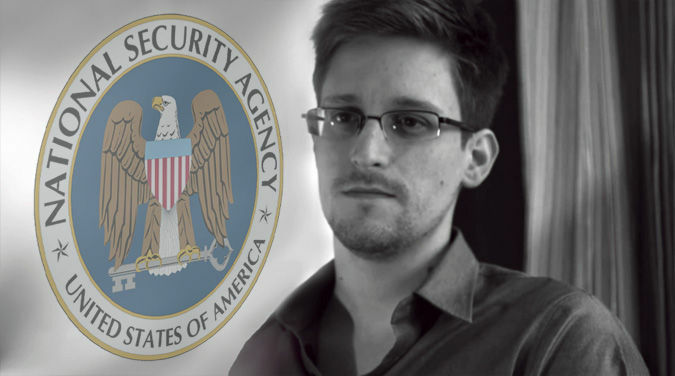 When Edward Snowden alleged that he, as a low level IT technician, could access communications by virtually anyone simply by asking there was a howling from the general direction of Fort Meade, MD that this was not true. Subsequent reporting by Glenn Greenwald (or one of his sock puppets. it is really hard to tell… ) indicates that Snowden was more right than wrong. . . .
Well, now… wouldn’t it have been better for Erickson to have held his fire until he had more facts??? My view of Snowden’s actions is mixed, but on balance, I’d say he’s more in the RIGHT column than the WRONG. Before shooting first and aiming second, perhaps Erickson might benefit from hearing what these NSA leakers have to say about it. This not rocket surgery.But I understand we have not seen the Law enforced most of our lives so it is a struggle to understand the way it is supposed to be,because we are so aquainted with the way it is. Edward Snowden committed the crime of Espionage.When he realized what he had done under order,he shoild have appealed to his supervisor,or a Lawyer he could trust.Secrects were released Enenmy States.But we are torn over traitor or hero.Like most issues America culture is devided on,the debate is subjective based on personal ambition and not objective based on Law. Truth is not balanced,it is abolsute.The splitting an issue into a million parts muddles facts and what is simple is so complicated it only gets so far away from any point of return. I think Erick Erickson as well as most would slow down at being the first to break a story of to comment.Pre-mature information puts damage on a track ahead.He did the same with his promotion of Sarah Palin.Too many have bought the marketed political record of Palin and many will never learn of her Gay legislation and appointment of a planned parenthood activist lawyer to the Alaskan Supreme Court.Her sanctuary cites,all the goodies for the illegals except driver licenses.Her endorsement of the UN Sea Treaty,which explains why Hockey Mom remained silent in June of 2012 when Barack Obama gave 7 oil rich Alaskan Islands to Russia.One would think,why would John McCain pick her for V.P. ? A quick look a her poltical record may have suggested McCain saw hois own record.Don’t be in a hurry to connect the dots.